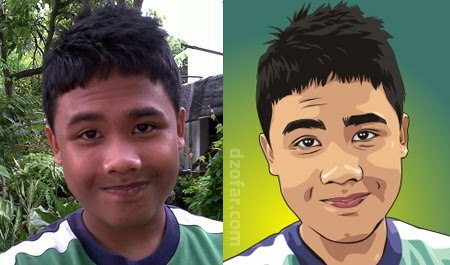 We provide a service that can make your photograph or self image into vector cartoon. 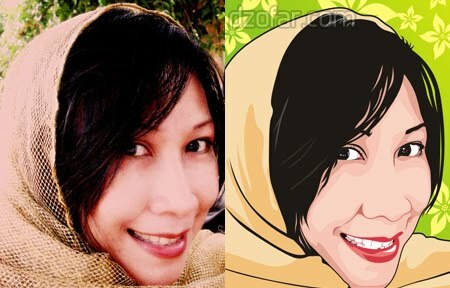 Vector cartoon is the vectorize technique that manually drawing or hand drawing by using path tool (such as bezier tool in corel draw) on your face image. I will manually drawing your eyes, your nose, you ears, mouth and everything into cartoon style. With 3 colors skin. Darker, lighter and normal tone of your skin. You can check below picture to see the example. Left side is vector magic result. You can see that it's just like effect from photoshop. But if you see the right side, that is impossible to do with photoshop effect or auto trace software, because the right side picture is all done manually using pen tool, such as pen in a real life. You can find pen tool in Adobe Illustrator, freehand or Corel Draw (it called bezier tool). "ILMU BUKAN HANYA TUK DIRI KITA SENDIRI, DAN HARUS DIAMALKAN,, INGAT TU,,"..
very nice works of art, sir. congratulation! you become better and better at vector art. Ini Yang Ku Suka.. Hahahaha..
edit cartunya bagus semua,, kalau boleh tau itu pake photoshop berapa? Thanks for your post. Your photography service is really good. 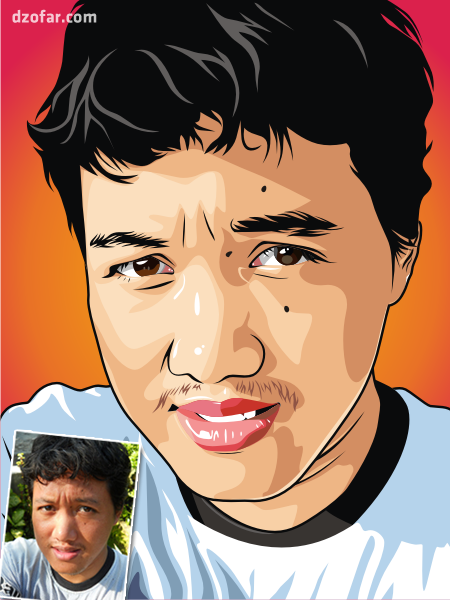 I hope, you are providing high quality self image into vector cartoon. But, i needs Raster To Vector Service. So good your vector creation . Like your post . It was a great post for me. I have learned some new items from this post. Thanks. Excellent article. I really enjoy your blog. Thanks for share. Excellent vector artwork. What software did you use for your work?